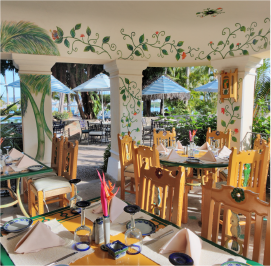 Casual restaurant with typical Mexican decor, located at the ground floor besides our main pool area. Savor our Mexican snacks and freshly prepared tacos as well as seafood specialties, while enjoying a tropical cold drink. Proper attire is suggested inside of the restaurant. Open daily from 12:00 to 18:00.